Lone Survivor is a movie that does itself a few large disservices: Its title reveals too much; its trailer is much too long and plays like quick spot on an On Demand showcase; and it tugs and shoves and pulls in so many directions, that it ends up seeming unsure of both its strengths and its point. There’s a decent and well-crafted movie in there, but the marketing, and a good deal of the film itself, tend to be dissuasive. Survivor, if you haven’t seen the trailer, chronicles the story of SEAL Team 10’s somewhat disastrous Operation Red Wings, a 2005 mission with the objective of assassinating Taliban leader Ahmad Shah during the Afghanistan war. 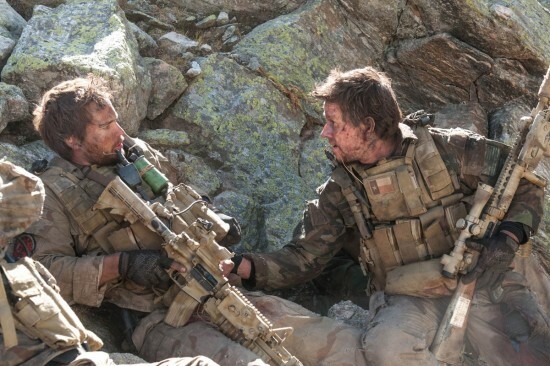 Mark Wahlberg plays SO1 Marcus Luttrell, the titular Lone Survivor and author of the book on which the film is based, and his story is indeed an interesting, even uplifting one, and director Peter Berg shoots it with an apparent grittiness and shakiness that you would expect. Wahlberg plays haggard and weary well. Impassioned well. Sorrowful well. Taylor Kitsch, Emile Hirsch, Ben Foster, and Eric Bana, as his team, convey the sense of golden brotherhood that makes films like these sustainable. The story, while short, is compelling, and the second act of Wahlberg’s survival is an interesting twist. It’s a decent film, and if you’re in the mood for a good war drama, this is safe bet. What’s the point? This doesn’t need to be a political film; it doesn’t need to justify its war or its mission or, on the opposite end, attack it. And it doesn’t. Nor does it need to go far beyond what it does well, which is action. It’s not spectacular or very original, it even seems too polished in its sterile dirt. 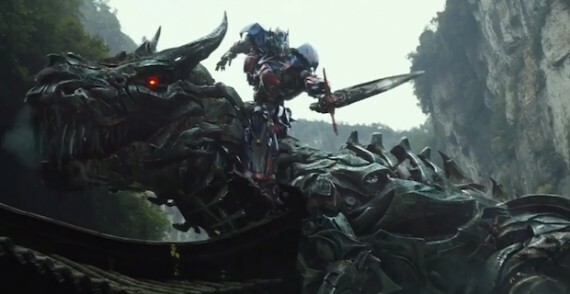 However, the biggest flaw, which nearly becomes an insult, at least to me, is what I want to describe as the film’s lack of faith in itself, but which I should really, if I’m being honest, is its pandering. As action movies go, the upcoming 2 Guns has many of the earmarks of success. Denzel Washington, Mark Wahlberg and a lot of gunfights and explosions should make for a potent mix. Not convinced? For 12 months, DEA agent Robert “Bobby” Trench (Washington) and U.S. naval intelligence officer Michael “Stig” Stigman (Wahlberg) have been reluctantly attached at the hip. Working undercover as members of a narcotics syndicate, each man distrusts his partner as much as the criminals they have both been tasked to take down. When their attempt to infiltrate a Mexican drug cartel and recover millions goes haywire, Bobby and Stig are suddenly disavowed by their respective superiors. Now that everyone wants them in jail or in the ground, the only person they can count on is the other. Unfortunately for their pursuers, when good guys spend years pretending to be bad, they pick up a few tricks along the way. Check out said trailer after the break. 2 Guns arrives on August 2. Seth MacFarlane’s feature-film directing debut mines two of his favorite devices: anthropomorphism and ’80s pop culture. In Family Guy we got a talking dog; in American Dad, a talking fish (and an alien); in The Cleveland Show, a family of talking bears. Now, in Ted, we get another talking bear. It goes without saying that MacFarlane voices all of them, blending outsider commentary with the tics of whatever creature’s spouting it. And as for the ’80s pop-culture references, well, MacFarlane’s spent nearly two decades mocking one. Ted’s ostensibly a coming-of-age story about 30-something John Bennett’s (Mark Wahlberg) choice between a normal, adult life with his girlfriend Lori (Mila Kunis) and his pot-smoking, hard-drinking state of arrested development, represented and enabled by his talking teddy bear. However, maybe because it’s a comedy or whether it’s MacFarlane’s ego, the film has no interest whatsoever in its human characters . So much so that two of the three main subplots — Ted getting a job at the local supermarket and Ted getting stalked by a deranged fan (Giovanni Ribisi) revolve, naturally, around Ted. That’s not necessarily a bad thing, because every time the scene shifts from Ted to Wahlberg and Kunis, it’s like a symphony of chalkboard scrapers and wailing cats led by Dully McMyBrainIsOnFire. A while back, it was reported that Family Guy and American Dad! creator Seth MacFarlane is one of the highest paid writers in Hollywood. With two massive franchises under his belt, what’s the man going to do next, you may ask? How about a raunchy comedy about a grown man and his talking teddy bear who smokes pot, swears and lightning, and objectifies white trash ladies. It’s called Ted, and that’s exactly what you’re going to get with the very first red band trailer that hit today. In typical Family Guy fashion, you can expect to see MacFarlane (who also voices Ted in a Peter Griffin manor) push the envelope to what’s allowed in an R-rated comedy with his writing and directorial debut. Here’s the synopsis, as if you needed one. In the live action/CG-animated comedy, MacFarlane tells the story of John Bennett (Mark Wahlberg), a grown man who must deal with the cherished teddy bear who came to life as the result of a childhood wish… and has refused to leave his side ever since. For the guys who need more than a laugh, you’ll also get the easy-on-the-eyes Mila Kunis joining alongside Wahlberg. Take a look at the trailer after the jump and catch the film in theaters on July 13th. Brett Ratner has already signed on to direct Hercules and has his heart set on Dwayne “The Rock” Johnson to fill the titular role of the film. The film will be an adaptation of the Steve Moore graphic novel Hercules: The Thracian War. The screen play is adapted by scribe Ryan Condol. The Thracian Wars is a pretty dark take on the character, as it paints Hercules as a mercenary who turned his back on the gods following the loss of his family, “finding solace only in battle.” He joins up with six other men who are similarly bloodthirsty, and the band of warriors are hired by the King of Thrace to train his men into warriors. Johnson would be a great choice to play Hercules as this type of warrior. He can do badass better than anyone else on the market and his charm gives his characters wide appeal.The real question would be whether Ratner would keep the story’s tone as dark as the original graphic novel. Johnson, who will next be seen as Roadblock in the upcoming G.I. Joe: Retaliation, will next star in Michael Bay’s crime comedy Pain and Gain with Mark Wahlberg, followed by another Fast and Furious film, and has been tied to the role of Goliath in the aptly named Goliath. With Johnson in such demand, his availability for the role is in question. No timetable has currently been given for Hercules. Read a full synopsis for Hercules: The Thracian Wars after the jump. The fourth installment of the Underworld franchise tried to bring the series back to it’s bread and butter, Kate Beckinsale in skin-tight leather. That was seemingly all you need as the film bounced back from the disappointing third installment and stands tall with a similar start to that of the first two movies. The estimated twenty-five and a half million dollar haul puts Awakening on pace to top the over all totals of the first and third movies, whether or not it can catch the series peak, set by Evolution, will depend on it’s hold next weekend. The per theater average and total screen numbers are comparable to the second film which performed the best up to this point in the series. Coming in at an impressive nineteen million is Red Tails, the Lucasfilm tale of the famed Tuskegee Airman. The movie surpassed many expectations and out paced other fighter pilot films by a solid margin. Much like Underworld: Awakening, the critical reception of Red Tails has not been kind, so it will need strong word of mouth to maintain momentum into next weekend. Say what you will about Mark Wahlberg but his movies are often entertaining and he does know his way around an action sequence. Case in point is his latest upcoming film Contraband. In the action thriller, which is based on the 2008 Icelandic film Reykjavic-Rotterdam, Wahlberg plays a security guard trying to go straight who must return to his old life of high-stakes smuggling to settle a family member’s debt with a ruthless former boss. Naturally, things don’t go exactly as planned and, you can bet, stuff ends up blowing up. Starring with Wahlberg are Giovanni Ribisi, Kate Beckinsale, Lukas Haas and Ben Foster. Check out the trailer after the jump. Look for Contraband to hit theaters early next year.